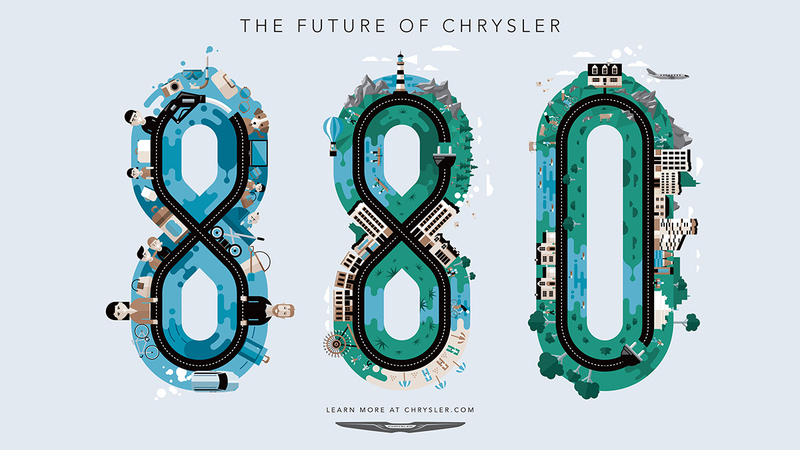 Blindsalida produced this illustration for the launch of Chrysler's brand new car. Commissioned to create a teaser image to excite viewers about the launch of the 880, Blindsalida's detailed graphic had car enthusiasts guessing what the launch would hold. To see more of Blindsalida's work, click here. Blindsalida is represented by Meiklejohn. Published on 17 February 2016.